We're Max and Jenny and between us we have over 15 years experience in web, graphic and print design. We believe you should view your website as an integral part of your brand. It's your shop front, and as such it should reflect the personality of you and your business. We can build you something unique, well made and tailored to your business. As we’re a small local team we can provide you with a one-on-one, personalised service ensuring we deliver exactly what you’re looking for. No matter how big or small your project get in touch and see what we can do for you. We offer a variety of services to cater for whatever you need from your website. 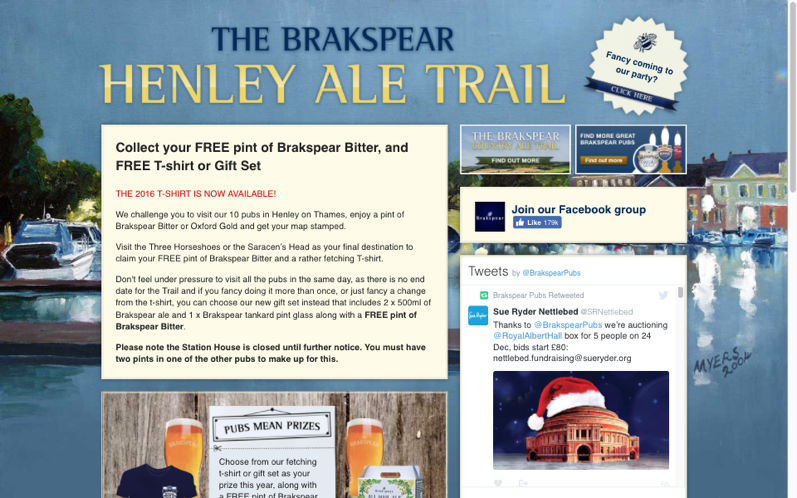 From something as simple as a splash page, through to a CMS-powered multiple-page website. Additionally, if you need a .co.uk domain and some webhosting we can sort all that out, with hosting for 1 year and up to 2 email addresses. If you need something up quick to let people know you're there or coming soon. Maybe an image with some contact details or a sign up form. The stalwart of the internet, the good old reliable 5 pager (or thereabouts) website that works best for most. Whatever you want those pages to be - a homepage, about us, a contact page... we'll make sure they're well designed and built around the needs of your business. 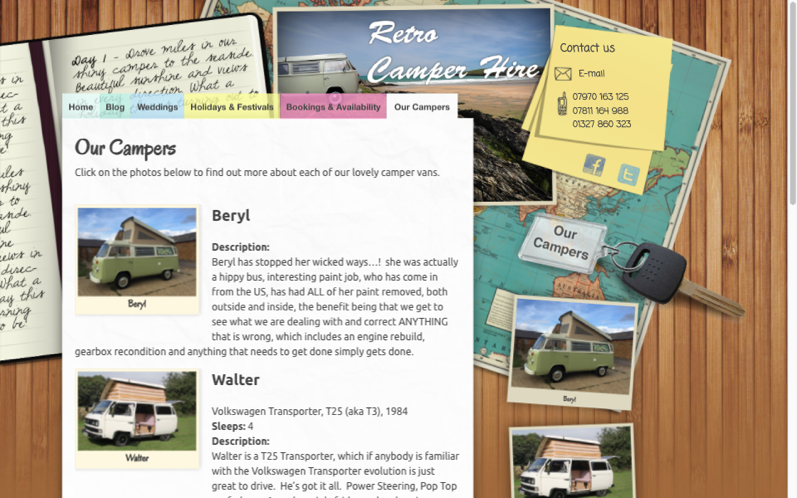 Sometimes one page can be enough to say everything you need to say to wow and amaze the people who visit your website. 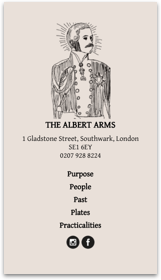 A classy website for a 'proper' London pub. 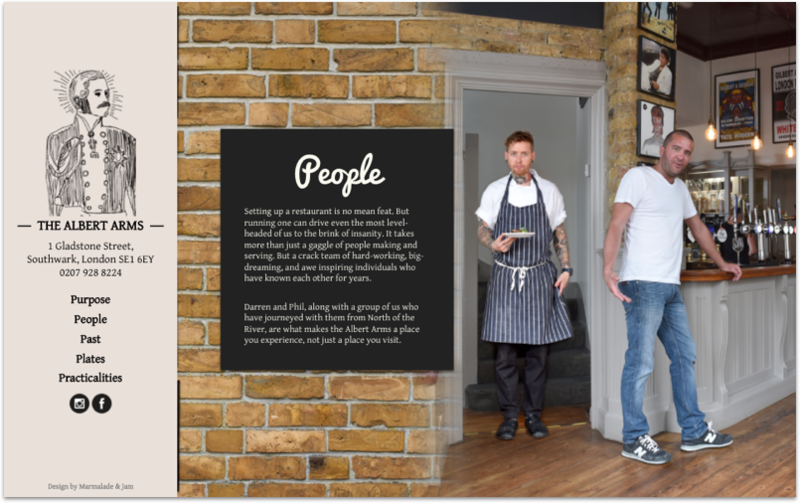 The Marmalade and Jam team have been fantastic ... [they] applied their design expertise to deliver the perfect website. 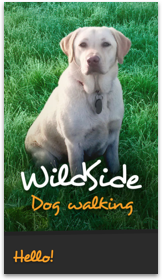 A one-pager for a professional dog walking and pet services business. I am regularly complimented on [my website] for looking very professional and giving the information needed straight away. A simple yet stylish one pager highlighting some of Brakspear’s finest pubs. 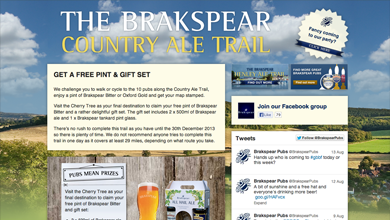 I’d highly recommend them to anyone and in fact I do recommend them to all our pubs! 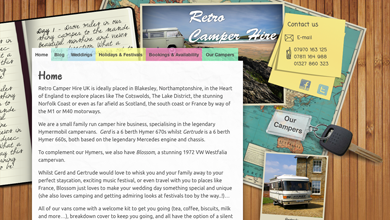 A quirky website for a retro campervan and motorhome hire service. You got just about everything right first time, each time… every single penny of the cost was well spent..! Marmalade & Jam are a dream to work with. Always quick to respond and to complete the job in hand. They’re flexible and reliable and do a great job building our websites for us. 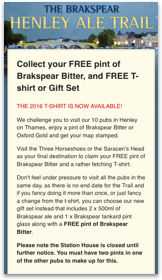 I’d highly recommend them to anyone and in fact I do recommend them to all our pubs! The Marmalade and Jam team have been fantastic. They have listened to our wishes and applied their design expertise to deliver the perfect website. They were quick, precise, efficient, and creative. They have been of great help since the launch. Most of my clients have come to me via my website and I am regularly complimented on it for looking very professional and giving the information needed straight away. Whenever I have needed to update the content Max and Jen are very accommodating, approachable and efficient and the site is always updated quickly. I was recommended to Marmalade and Jam by a friend and was very impressed by the service I received. From my first meeting with Jenny, it was clear that she could turn my ideas into a great website. From start to finish she included me in the design process. This included designing a new logo and altering my wording to a professional standard. The pricing was very reasonable and I do not hesitate to recommend the company. Max & Jenny did an amazing job constructing our website from scratch. 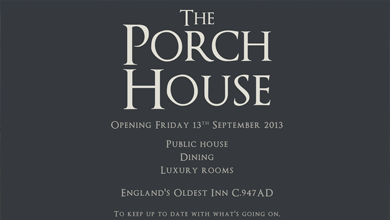 They captured the look & feel of our new pub restaurant and really listened to how we wanted our site to be. It is easy to navigate, simple, yet detailed. They are always more than happy to help with any issues or questions we have had. 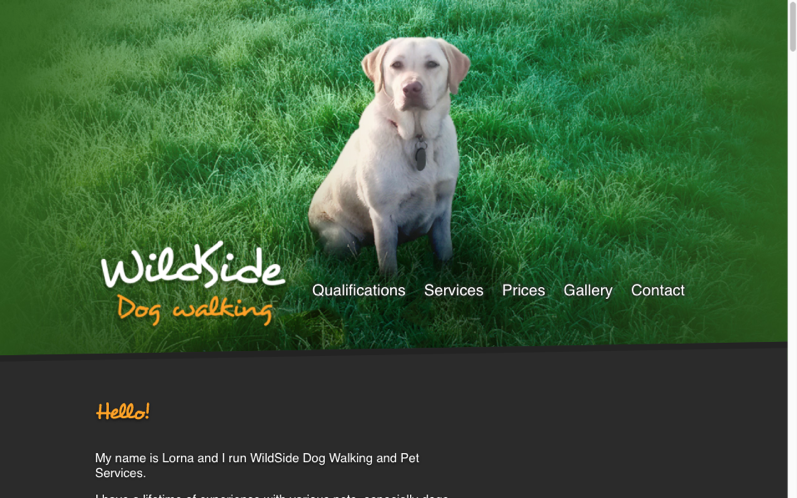 Just a note to say how delighted myself and Lucy are for what you have done with our website. You got just about everything right first time, each time. Setting up a small business can be very daunting and stressful, and the website is certainly a key aspect of that, you have made it easy, every single penny of the cost was well spent..! Marmalade & Jam have been a pleasure to work with. They provided a professional web design service fast and for a really good price! Oxfordshire based web design for your small business.